Tahoe Keys Resort is a picturesque waterfront community on Tahoe's South Shore offering vacation resort rentals. Features: Tahoe Keys Resort offers 240 different rental properties in Lake Tahoe. Tahoe Keys Vacation Resort has a Three Diamond rating from AAA. Why We Stay: Tahoe Keys Resort allows guests to be close to the places they want to be. The variety of different units available at Tahoe Keys Resort allows guests to find something that's perfect for them. 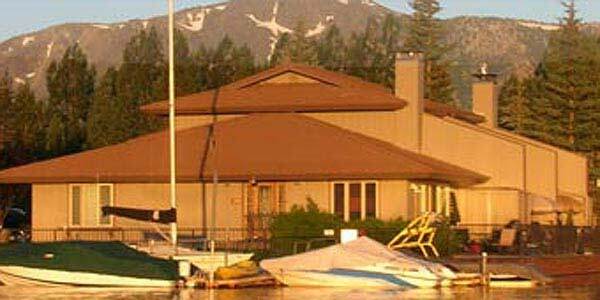 The Location: Tahoe Keys Vacation Resort is ideally located in a gorgeous waterfront community. Guests staying at Tahoe Keys Vacation Rentals enjoy the close proximity to places where they can participate in fun outdoor sports. The Properties: Tahoe Keys Vacation Rentals provides visitors to the area with accommodations that meet their personal needs. With the large number of available units, each different from the others, Tahoe Keys Vacation Resort can offer something that appeals to you and your travel companions. The Amenities: Tahoe Keys Vacation Resort makes sure that guests always have something to do. There are tennis courts for fun in the sun as well as indoor and outdoor swimming pools. Inside Knowledge: Guests staying at Tahoe Keys Resort can enjoy complimentary bicycle rentals in the summer. Do Exercise: Tahoe Keys Resort has a well-outfitted exercise facility that gives gym rats all they need. Tahoe Keys Vacation Resort allows guests to exercise indoors in addition to their outdoor Lake Tahoe fitness activities. Do Put Your Boat In Your Harbor: Many of the units at Tahoe Keys Vacation Resort include private docks. Guests can keep their boats near their accommodations this way. Don't Shiver All Night: At Tahoe Keys Resort, many units feature great fireplaces in front of which guests love to curl up with books and glasses of wine. Don't Pay For A Bike: Tahoe Keys South Lake Tahoe condo rentals provides free bikes to guests during the summer months. When you're at Tahoe Keys Resort, check to see if bike rentals are available for you to use. Condos are attached to other units and have included guest parking. Condos can include fireplaces, as well as appliances for laundry and kitchen needs. Homes and condos are detached and private. For the most part, these quiet lodging options offer more space, larger bedrooms and more amenities. They have laundry and kitchen appliances, and parking is available.